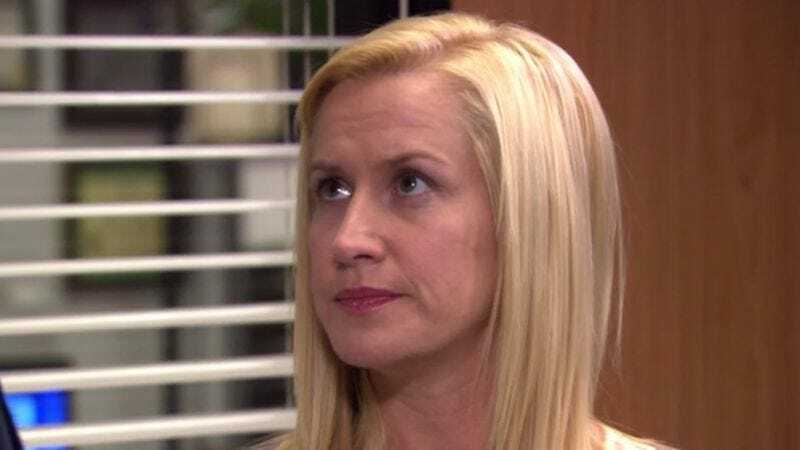 Angela Kinsey, best known for her role as tightly wound accountant Angela Martin on The Office, is the latest Bad Recurring Guest Star to join the Bad Cast of Bad Judge, NBC’s Bad Attempt to leverage the powers of capital-B Badness in the service of good TV. Kinsey will play Michelle, an old friend of Kate Walsh’s maladaptive adjudicator. The character is described as a fun-loving, if unambitious, dental hygienist, which sounds like it’ll be a nice change of pace for Kinsey after playing an uptight, perpetually angry cat lady for eight years on The Office (or, as it has retroactively been titled by NBC’s marketing team, Bad Documentary). Hopefully Kinsey’s presence will draw some more attention to Bad Judge, which premiered last week to lowercase-b bad ratings, pulling in roughly half the viewers as ABC’s Scandal, despite that show‘s galling lack of a modifying adjective.